Another good week at Rutland Water with the biggest fish of the season so far – a superb Brown of 12lb 10oz was landed by Chris Bobby. The bottom of both arms are fishing well with some large fish being caught on corixa, small buzzer (dries) and fry patterns. Tim Appletons and Burley Reach in the north and cattle troughs, Lax Hill to Browns Island in the south arm. The centre of the arms and the main basin to the dam are fishing well; specifically New Zealand Point, B, A, 17, 16 and 14 buoys past the church to the blue pipes. The main methods have been pulling humungus, minkies, tubes and snakes, washing line with small lures, nymphs and fabs on various intermediate and tip lines. On floating lines; dries, suspender minkies and floating fry. Day two of the Fry Feeders match on Sunday fished well (Day one was fished at Grafham). The largest fish of the season so far, a brown trout of 12lb 10oz was caught by Chris Bobby on a black snake and intermediate line at the bottom of the South Arm. Top rod was Henry Russell with a combined total over the two days of 31lb 3oz. Chris Bobby took the best fish of the competition and for this season – a monster of a Brown tipping the scales at 12lb 10oz.The top three places went to Henry Russell, Graham Pearson and John Hardy. Graham netted the best Rainbow of the week at 4lb 6oz and fished tube flies. Best Rainbow: 4lb 6oz taken by Graham Pearson. Best Brown: 12lb 10oz taken by Chris Bobby. Midweek boat winner: B Vaughan. Grafham has turned the corner with the rod average set to climb steadily as more fish come on the feed. We do still have pockets of algal bloom so anglers should look to fish in clear water to find feeding fish. Fry Feeders Match 20 October (by invitation). 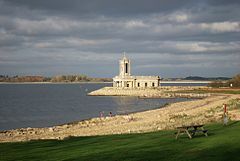 Grafham Water hosted day one of the Fry Bashers Meet (day two was at Rutland). The biggest fish on day one at Grafham went to Henry Russell at 3lb 7oz. 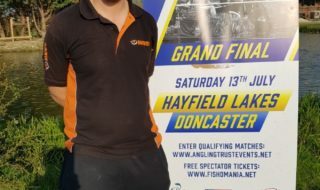 Henry went on to win the match overall with another good performance on day two at Rutland recording 15 fish for 31lb 3oz across the two days. Day one saw Nick Halstead leading at the halfway point with 8 fish. Sadly for Nick, day two at Rutland didn’t go to plan and he took 34th place overall. Bank anglers should look to fish the upwind shore with fish being caught close in – as little as two feet of water so approach cautiously and don’t be tempted to wade in until you have fished the margin. In light winds the down wind shore may be fishable if you can wade past any algae. The best bank areas in a southerly wind are Mander car park, Plummers car park, the south end of the dam and the Seat. In a northerly head for any of the points on the north shore – particularly G buoy and the Willows. GRHE’s, shrimps and diawl bachs continue to take fish with a FAB on the point as an attractor, also daddy long legs and minkies are taking fish. For the boat anglers, again seek clearer water and fish similar tactics on floating lines and sink tips. Alternatively a Di3 with blobs, humungus or snakes stroked back are working well and will pick out the bigger fish. Best areas have been the south end of the dam, in front of the Seat and Sailing Club, the Stumps, Valley Creek to the nature reserve and all points along the north shore. Predator anglers continue to enjoy good fishing at Grafham, reporting pike to the high doubles/low 20’s and plenty of perch in the 3lb plus bracket. Zanders up to double figures have been reported too. We are looking forward to the return of the Shrimpmasters! Join us for this sociable bank league on six Sundays, starting in November and finishing in January. Be sure to practice your shrimp shuffle for this one! 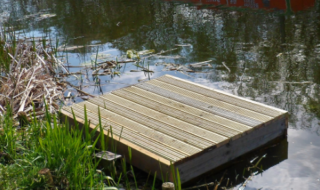 Best boat areas: Rainbow Point, Stumps, Sanctuary Bay, G marker, Pylon Point, Deep Water Point, Hill Farm, Hedge End, Willows, dam, the Seat, Sludge Point. Best bank areas: G bank, Hill Farm, Deep Water Point, hedge End, Pylon, the Stumps, the Seat, the dam. 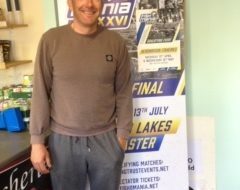 Midweek boat winner: David Hardwick. Pitsford Water continues to get better and better, with the quality of the fish improving by the week. The rod average for the week is an impressive 5.2 with the best Brown over 10lb and Rainbows up to 5lb. Fish are feeding hard on fry, shrimp and snail and the bank fishing has really taken off. Iain Barr and Airflo’s Gareth Jones had a day afloat to do a feature and brought over 30 fish to the boat, with browns up to 6lb and Rainbows to 4lb. Steve Cullen and Graham Hayward had a similarly great day with over thirty fish, nineteen of which were Browns and even managed Perch up to 3lb. The best reported Brown of the week was a fish of 10lb caught and returned by Mike Weaver who also returned ten Rainbows. Gareth Pearson fished with his father Graham and caught his personal best Brown, a lovely 7lb 15oz fish. He had a further 7 Rainbows up to 3lb 8oz. Alex Ferguson had a day on the dry fly catching a Brown of 5lb 8oz and a further eleven fish. On Tuesday an Anglian Water team fished against the Environment Agency, 38 anglers caught 16 fish with several Browns caught up to 6lb 2oz. Top individual was Ben Bayliss from the EA with 8 fish for 22lb, including a Brown of 6lb 2oz. All areas of the Main half of the water are fishing with the fish in the top three feet and often feeding in two feet of water on shrimp and fry. Mid Northants Trout Fishers Association are hosting open taster sessions on Saturdays as follows; 3 November and 1 December 1-4pm. Best Brown: 10lb taken by Mike Weaver. Midweek boat winner: Phil Waples. Mid-Northants Trout Fishers Association offer taster/introduction sessions at Pitsford Water on the following Saturdays; 3 November and 1 December 1-4pm. The rod average at Ravensthorpe is 5.17 for the week. Some days have proved more challenging than others. Anglers have been having a few fish from the boats, and have been catching mainly over the boils. Dries are still working well, however blobs, nymphs, minkies and cats whiskers are also proving effective. The bank fishing has improved and is producing some fish. Alan Duffin took four fish from Platform 4. Results of the Bob Church Trophy boat match will be in next week’s report. Best Rainbow: 4lb taken by D Moss. Best bank areas: Platform 4/Dam. Midweek boat winner: P Skelton.